Director at the Institute of Strategic Studies and Analysis, Editor-in-chief of Vestnik Analitika (Analyst's Bulletin); member of the Council for Foreign and Defense Policy. 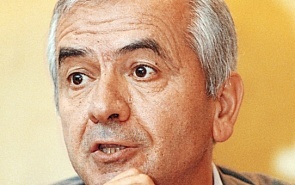 1989-1992: Head of Azerbaijan's KGB, Major-General. 1995-1996: Director of the AFK "Sistema" analytical center, Moscow. The cost of a war against Iran – both political and economic – would be too high even for the United States. Iran is a major hub in the Greater Middle East. Once shattered by an ill-advised military operation, that country will spread instability to adjacent states with similar ethic and religious problems, such as Afghanistan, Pakistan and Iraq.